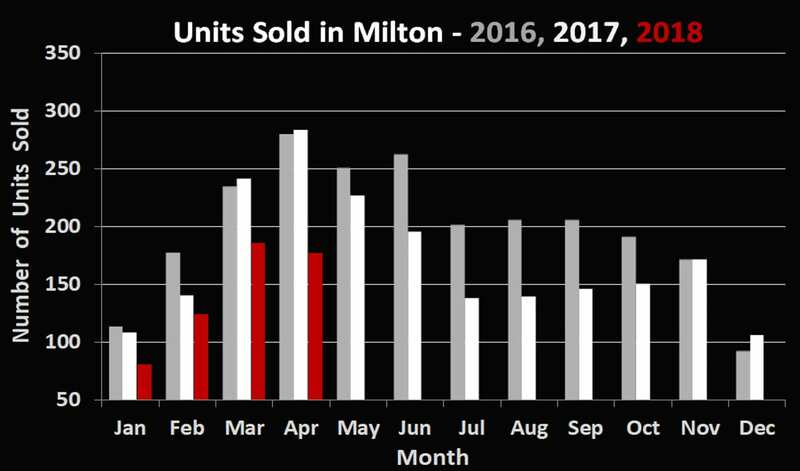 Milton’s 177 residential sales in April 2018 represent a slight 5% decrease in volume over the figure from last month. 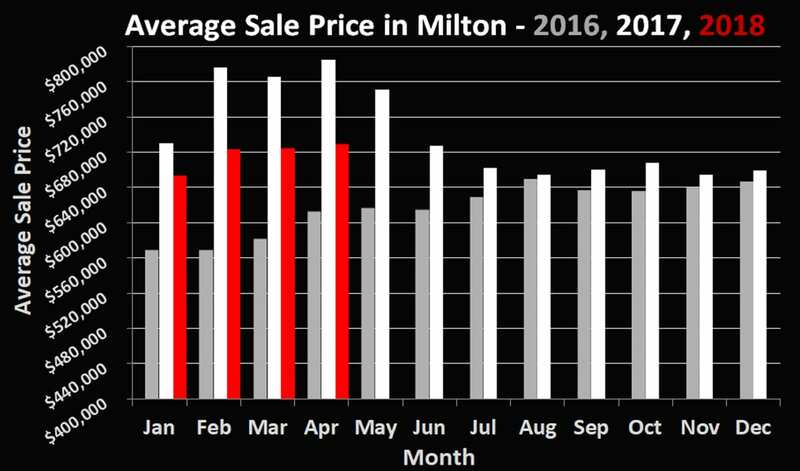 The average sale price of $688,800, while up nearly 0.6% in the past month ($684,800), is still down almost 100k when put up against the figure from this time last year. The silver lining is that the average price is actually the highest recorded since May of 2017 (even higher than June 2017). The 2018 market has been constantly improving and soon the “Fair Housing Plan” implemented in May 2017 will be all but forgotten. We’ve noticed that buyers are slowly starting to realize the stress tests implemented by the big banks for 2018 aren’t as big of a deal as was once thought. Many are surprised that after having visited their bank and getting disappointing news, that they can simply make a few calls to mortgage brokers and receive pre-approvals not only for the amounts they are looking for (and can safely afford), but also at significantly lower rates. If you’ve visited a large bank for a pre-approval and left with a sour taste in your mouth, let us know and we can put you in touch with some great people who can help. With the market imbalances from last month still existing now, it has never been a better time to consider taking the next step from your townhouse, semi or condo. If you have any questions about the current mortgage landscape, or are considering making a move but don’t know where to begin, give us a call or send us an email. We are never too busy to chat Real Estate!